Screentest is a way for young screenwriters, directors, actors and producers to showcase their talent and gain exposure within the industry. It is a three day event that exhibits over 100 student-made short films from all over the UK, as well as providing educational talks, workshops and bespoke screenings. Originally founded in Bristol in 2004, Screentest has now been in London for five years where it continues to enjoy increased exposure and access to an increasingly diverse audience. The festival is supported by LSBU's Departments of Arts and Media, and Culture, Writing and Performance. The festival is directed by LSBU Digital Film & Video alumni Chris Nunn and Nic Sanchez, who this year received over 280 submissions from 99 institutions across the UK - with the youngest student to successfully submit a film aged only 16. "We've sadly lost a lot of other decent student film festivals because they ran as commercial ventures." Screentest has been fortunately situated within both the University of Bristol and now LSBU and being supported there, we're very fortunate to not have to worry too much about operating commercially. We don't charge for submissions, we don't have cash sponsorship, tickets are only £5 a day and yet we've been going for ten years. "Thankfully this non-commercial aspect is deeply embedded in the ethos of the festival - students must have that platform to show their work and the more we can help do this, the better. Within Universities we can feel safe because this work can be supported but we need to see more from the film industry on this." "I believe Screentest's longevity directly stems from the enthusiastic volunteers it has attracted over the last 10 years. The festival has continued to survive on a meagre budget, and we turn that into a positive opportunity because we are forced to think creatively and in unconventional ways", says co-director Nic Sanchez. "We want the best for our audience. We want all the talented student filmmakers to feel appreciated and respected. We exist to give a platform to those commonly misrepresented or not represented at all. "This is our 10 anniversary, and like many 10 year olds, we are still discovering new ways of doing things. That will continue, but our mission to promote, educate and build a network for student filmmakers of all ages across the UK remains constant." 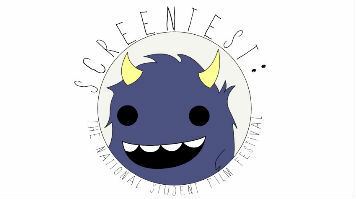 Screentest will run in the LSBU Student Centre from Friday 21 March – Sunday 23 March. Find out more about Screentest, including programme and ticket information. Find out more about LSBU's BA (Hons) Digital Film & Video.